Make sure your Gmail time zone is set correctly for smooth email operation. If times seem off, such as if your emails appear to come from the future, or your recipients are starting to notice and complain, changing your Gmail time zone is an easy fix. You should also check your operating system's time zone (and Daylight Saving Time options) to ensure that the computer's clock is correct. If you use Google Chrome, a bug in the browser may interfere with your Gmail time zone. Updating to Google Chrome's latest version (click the Chrome menu and select Update Google Chrome if available or Help > About Google Chrome) takes care of the problem. Click the Settings gear button at the top right of Google Calendar. Select the correct time zone under the Your current time zone section. 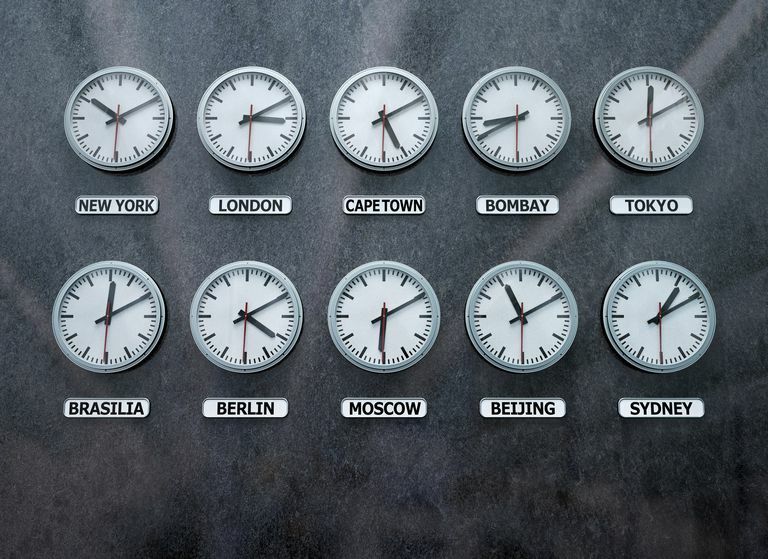 If you cannot find the correct city or time zone, try checking Display all time zones or make sure your country is chosen correctly under the ​Country question just above the time zone area. In older versions of Google Calendar, you would have needed to click Save. In the latest version, settings are saved automatically.